Alan Mueller is an owner and currently serves as Chairman of the Board of Directors of Volm Companies, Inc. He has been a member of the Volm team since the spring of 1978. During the years that Alan has been with the Volm Companies he has been involved in many aspects of service, sales, purchasing, and management. Initially his responsibilities included warehouse and truck driving duties, as well as direct sales to the onion and potato industry. In addition to his continued sales role, he was responsible for the establishment and development of: a division serving retail clothing stores, sales to the cranberry industry, sales of agri- chemicals to the vegetable canning industry, a division for the contract application of soil fumigation, the machine division, a national sales and marketing campaign, and Manter machine manufacturing in the Netherlands. Alan has served the produce industry as a president of the associate division of the Wisconsin Potato and Vegetable Growers Association and as a board/committee member of the associate division of the national Produce Marketing Association. Prior to coming to Volm, Alan served as a counselor/youth minister to high school students for six years in a church near Flint, Michigan. He has continued to serve his church in a variety of local and regional roles, including as a Board of Regent for Concordia University in Portland. Alan and Deborah married in August of 1974 and have two children, Sarah and Daniel. They have 6 grandchildren. They lived in Antigo, Wisconsin, where Volm’s corporate offices are located, for 21 years. They moved to Idaho Falls, Idaho in the fall of 1999 to oversee Volm’s distribution office and warehouses there and to oversee the establishment and direction of Yellowstone Plastics, a sister company to Volm that prints and converts polyethylene packaging. Alan graduated from Concordia University in St. Paul, Minnesota in 1972 with a Bachelor’s degree in Administration of Part Time Agencies and Director of Christian Education. Daniel Mueller is currently President & CEO of Volm Companies, Inc. Daniel arrived at Volm Companies in June of 2012, where he held the role of Vice President of Business Development and Corporate Strategy. Before arriving at Volm Daniel worked for seven years at Cardinal Health within Corporate Finance; five of which were overseas in Paris and Geneva. He held various roles within the finance department; from inventory forecasting to the Senior International Finance Manager for the Medical Technologies business unit. Daniel has degrees from Concordia University, St. Paul in Marketing and Finance and an MBA from Dartmouth’s Tuck School of Business. Daniel is a member of Volm’s Board of Directors. Daniel is the third generation of the Volm family and is excited to be involved in the family business. He is married and has a family of four children; two boys and two girls. He resides in Idaho Falls, Idaho. Michael Hunter is currently the Chief Operating Officer for Volm Companies. He has been with Volm Companies for over 10 years. He began his career working in public accounting and after getting licensed, went to work for a family business. After a period of time, he became the divisional Controller for a small consulting division of Cardinal Health, a Fortune 50 company. From there he was promoted to Finance Manager – Reporting and Analysis, of its $2 billion hospital products division located in McGaw Park, IL. Two years later he was promoted to Finance Manager of one of Cardinal’s manufacturing facilities located in the same location. After 8 years at Cardinal Health, Michael joined Volm in the role of Finance Manager, Special Projects. In that role, he managed working capital, oversaw the budgeting function, as well as performed due diligence on a major acquisition. Immediately following the acquisition, he became the interim General Manager at that location for nine months. He began overseeing the manufacturing operations for 3 plants in Antigo, WI. Michael now oversees all operations at Volm Companies. Michael is a certified public accountant (CPA), earning his Bachelor’s degree in Accounting from Concordia University in St. Paul, Minnesota and his MBA from Cardinal Stritch University in Milwaukee, Wisconsin. He has over 20 years of financial, management as well as leadership experience. Michael is on the Board of Directors for Volm Companies. He is a 3rd generation family member and as well as a principal of the company. Michael resides in Antigo, Wisconsin with his wife Amanda and son. He also has one grown son who resides in Minneapolis. Michael Bernatz is the Chief Financial Officer for Volm Companies, Inc. In his role, Mike is responsible for Finance and Administration as well as Human Resources and Information Technology. Mike has more than 30 years of experience in business leadership roles in manufacturing and high tech organizations. Prior to joining Volm in May of 2016, he was the Senior Vice President/Chief Financial and Administrative Officer for the Milwaukee Public Museum (MPM). During his 11 years with MPM, he worked with the Board of Directors and Management to improve the financial stability of the museum, reduce debt, and develop the operational ability to generate positive cash flow. In 2008, he earned “CFO of the Year” award from the Milwaukee Business Journal as the “Champion of Challenge” for his work with MPM. While Mike’s primary focus has been in the financial arena, he has also served in General Manager and Operational leadership roles for divisions of public companies. Mike earned his undergraduate degree in Business from the University of Minnesota (U of MN) in 1980. He later earned his MBA from the Carlson School of Management at the U of MN. Both Mike and his wife, Dawn, are originally from Rochester, MN and currently reside in the town of Delafield, Wisconsin. Scott Erickson is Vice President of its Industrial division for Volm Companies, Inc. In his role, Erickson is responsible for the overall financial management of the Industrial division, the P & L, divisional goal-setting and long range planning. He is also responsible for Volm’s interest in a jointly owned offshore Dutch manufacturing company. Erickson has 19 years of extensive sales and operational experience with the Volm Companies. Initial responsibilities with the Volm team was a dual role of National Sales Manager for both the Equipment and Packaging divisions. Prior to Volm Companies, Erickson was the National Sales Manager for Sunspiced Inc., a subsidiary of Basic American Foods. As National Sales Manager for Sunspiced Inc., Erickson was responsible for all fresh sales in the U.S. as well the exporting of fresh produce to Canada & Mexico. Collectively, Erickson has more than 32 years of experience working in the field of domestic and international trade. He has developed long standing relationships and diverse business strategies to ensure success for both the customer and the company in the overall business world. Erickson holds a Bachelor of Science degree from the University of Wisconsin, Stevens Point, and an Executive MBA from Harvard University, Boston. Erickson lives in Antigo, Wisconsin with his wife Cindy. He has 3 grown children and 2 granddaughters, all living in Wisconsin as well. Matthew Alexander is Vice President of Sales and Marketing at Volm Companies and leads our fresh produce consumables and equipment business. In this role, Matthew provides leadership and oversight for all sales and marketing efforts and is responsible for driving growth for the organization. Prior to joining the Volm Companies, Matthew spent 13 years working in the medical device industry in positions of increasing responsibility. He was Canada’s Country Manager/International Business Manager for Angiodynamics/Navilyst Medical and was responsible for building and leading a direct sales and clinical team in Canada, along with managing a global distribution network. Prior to Angiodynamics/Navilyst Medical, he spent more than 6 years at Cardinal Health in finance, sales and marketing, working internationally in Europe and Canada. 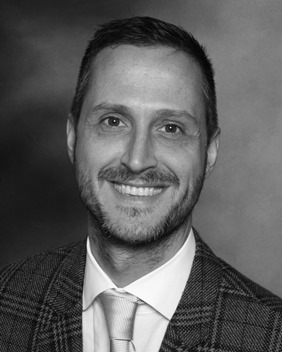 Matthew has degrees from the University of Western Ontario in Kinesiology/Health Sciences and an MSc from the University of London.